Painting is pretty much The Babe’s favorite activity. So we do every style of it. 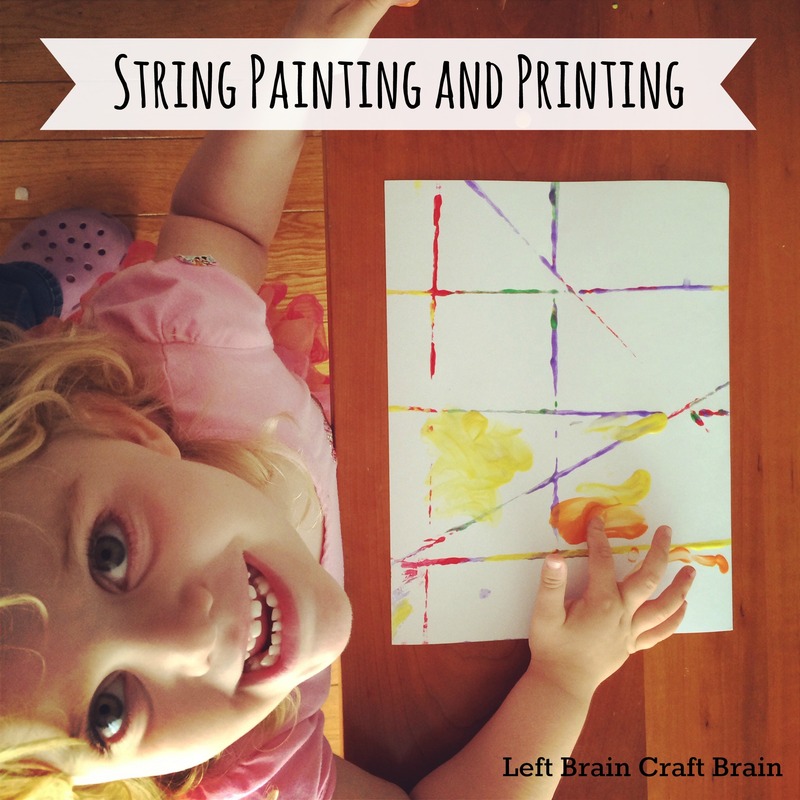 Including string painting and printing. This was a super easy one, that even used some recyclable materials. My favorite! Then paint the strings with a variety of colors. (Don’t tell The Hubby that I caught him painting with The Babe… I’m going to turn him into an artist one of these days!) After all the strings are pretty wet with paint, press a sheet of paper evenly onto the strings. Pull the paper strait up to get a clean imprint of the lines. 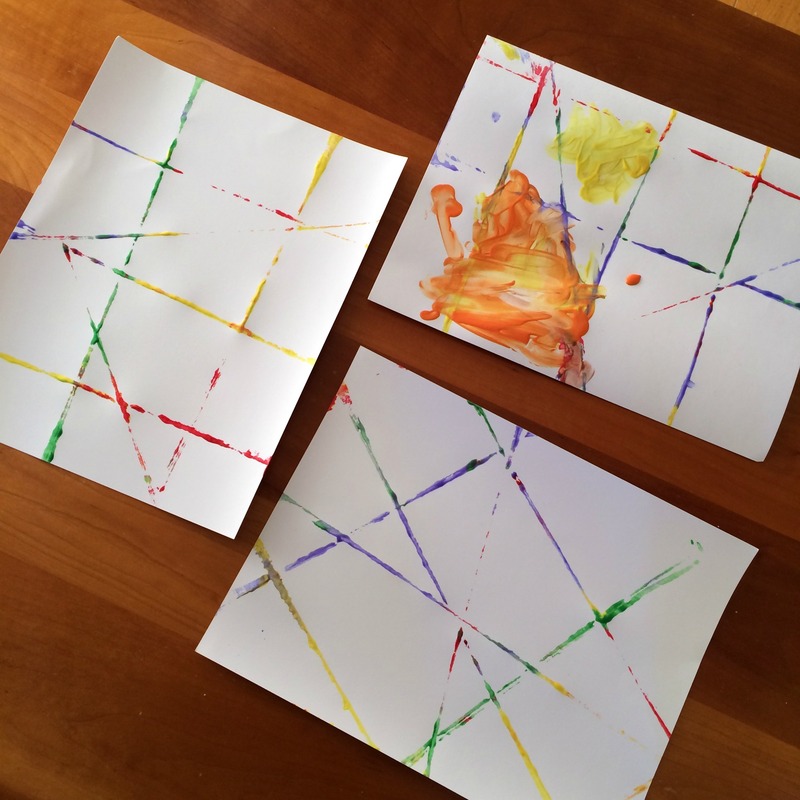 The Babe loved taking these prints one step further by finger painting within the squares and triangles on the paper. 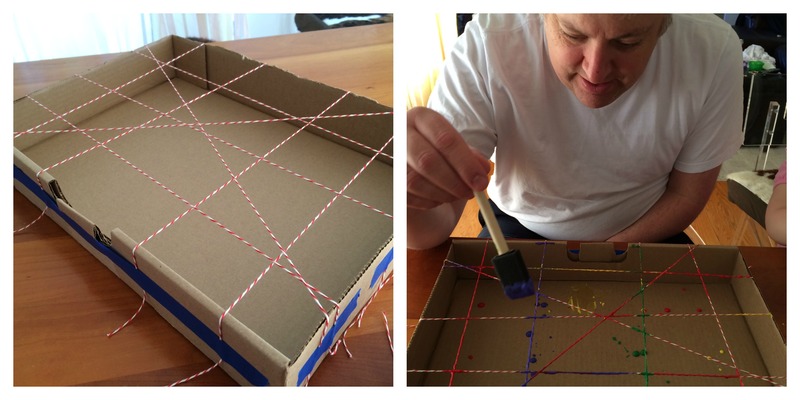 What a cool way to paint with string. 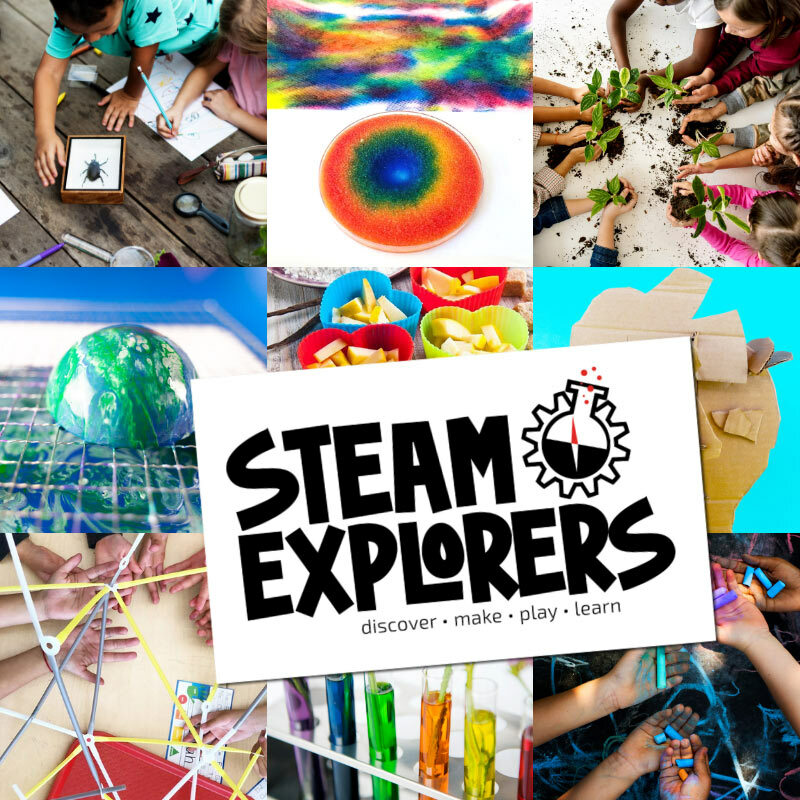 I m pinning this to do soon!